Through the National Society of Health Coaches! Through our Email Blast Service, you have the opportunity to share information about your upcoming event, post a request for conference speakers or post a health coaching position directly to our membership. You will have the opportunity to highlight your company's name, logo, and URL and provide your contact information for interested members to respond to you directly - no middle-man is involved in the communications. We will send your email to all NSHC members (4500+) through our private Member Email Listserv on the day(s) of your choice in most cases. The cost per direct email = $200. Contact Us for questions and/or to schedule your email blast. Top 5 Programs in U.S. While the ICHWC's attempt to standardize coaching certification standards internationally is a worthwhile effort, one certification does not meet the needs of all healthcare providers, nor all patients with varying acuity levels. In recognizing this distinct difference, the NSHC requires higher eligibility criteria for its Health Coach Certification; that which requires a current license, registration or certification to assess, plan, treat, implement and/or evaluate interventions in clinical and wellness settings. Clinicians and practitioners should coach those with chronic conditions, co-morbidities, and high to moderate health risk for the same. NSHC's program of study is based on this premise. For this reason, the NSHC differentiates its Health Coach Certification and will remain independent of this consortium. The National Society of Health Coaches is setting the gold standard for Evidence-based Health Coaching (EBHC)® in clinical practice. The model was first introduced in the summer of 2011 in North Carolina at the First Carolina Care CoachClinic®. 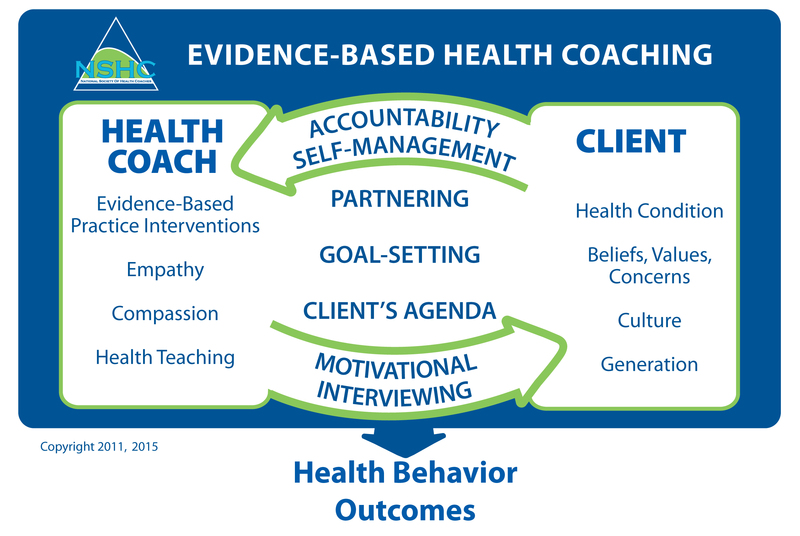 The National Society of Health Coaches is setting the gold standard for Evidence-based Health Coaching (EBHC)� in clinical practice. The model was first introduced in the summer of 2011 at the First Carolina Care CoachClinic� in Pinehurst, NC. Listed as #1 among top five Most Popular programs in U.S.